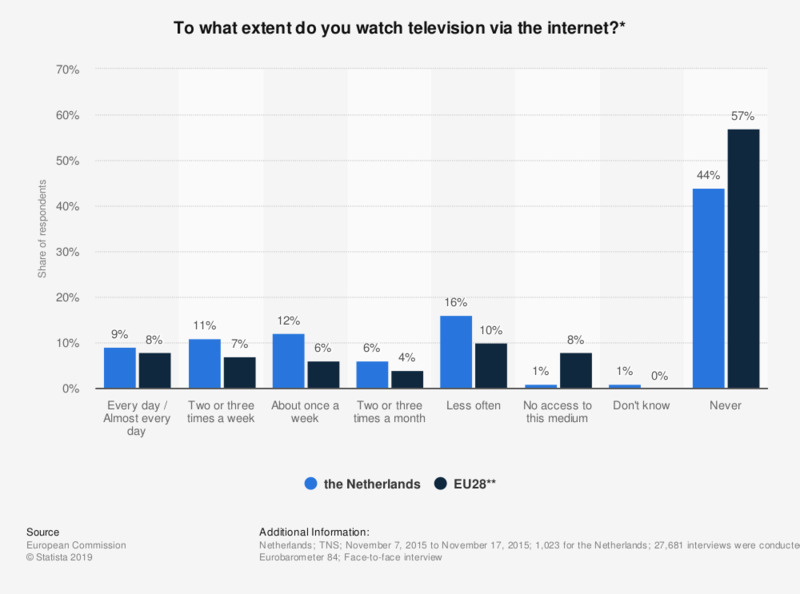 This statistic shows the response of Dutch respondents for the Standard Eurobarometer 84 to the question: To what extent do you watch television via the internet November 2015? * 6 percent of respondents from the Netherlands in 2015 replied they watch television via the internet two or three times a month. * Original survey question: QE3.2 "Could you tell me to what extent you... Watch television via the Internet? Every day / Almost every day, two or three times a week, about once a week, two or three times a month, less often, never, no access to this medium, don't know." ** The 28 European Union Member States.